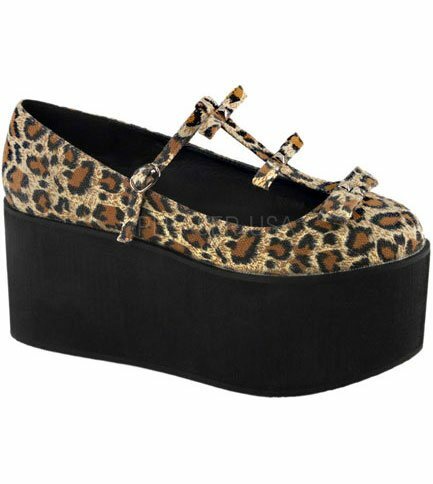 These leopard print canvas platform shoes have a 3 1/4 inch platform with a T strap. There are 3 bows with pyramid studs detail on the front and a buckle ankle strap closure. 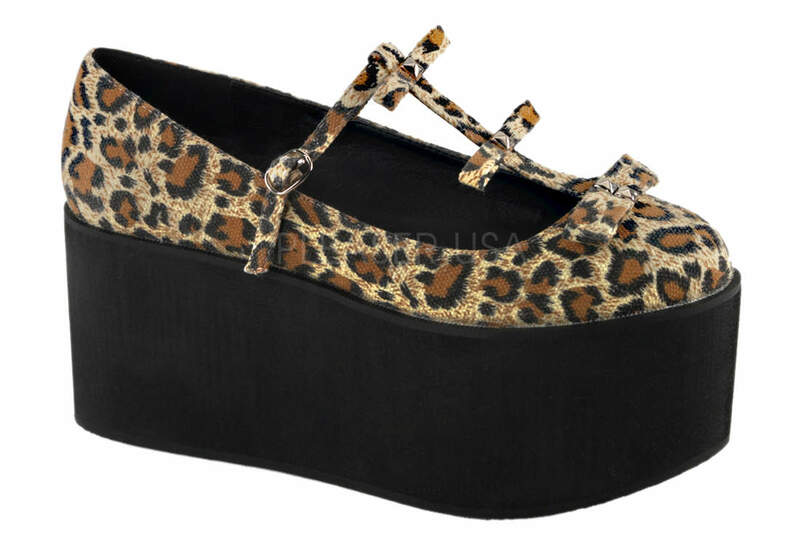 The platform is made of light weight foam and has a rubber bottom making these shoes easy to walk in.